Writing in an accessible and anecdotal style, Tom Wright helps us to approach the rich and many-sided story of the book of Acts. Wright shows how the book builds on Luke's gospel, laying out the continuing work and teaching of the now risen and ascended Jesus in the power of the Spirit. His writing captures the vivid way in which Luke's work draws us all into the story, while leaving the ending open and challenging, inviting Christians today to pick up and carry on the story as we in turn live our lives in the service of Jesus. 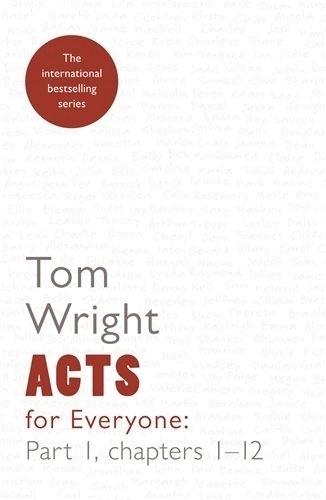 Acts for Everyone Chapters 1-12 by Tom Wright was published by SPCK Publishing in March 2014 and is our 1669th best seller. The ISBN for Acts for Everyone Chapters 1-12 is 9780281071845. Be the first to review Acts for Everyone Chapters 1-12! Got a question? No problem! Just click here to ask us about Acts for Everyone Chapters 1-12.